Each year, we look forward to seeing what Cafe 222 rolls out for its special New Year’s Day breakfast, which owner Terryl Gavre designs specifically for restoring our equilibriums after a night of festive drinking. As always, those who mosey in wearing a tuxedo, dress or other formal attire from their New Year’s Eve parties the night before pay only half price for the meal. 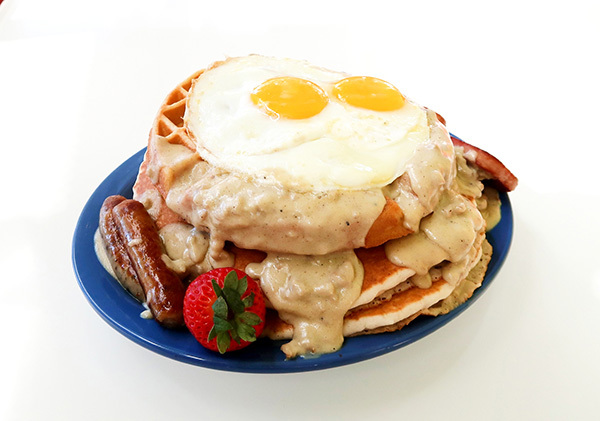 This year’s special is “the hangover helper,” a fitting name for a platter featuring a waffle and two pancakes stacked with a slab of Spam, a pair of sausage links, two eggs any style and country gravy. It’s served with orange juice and coffee. The full price, should you show up in casual attire, is $16.95. The meal will be served from 7 a.m. to1:45 p.m. on Jan. 1 exclusively. 222 Island Ave., 619-236-9902, cafe222.com. Heading to Saiko Sushi in Coronado for a spot of sake with your meal? If so, look for bartender Keaton Henson, who just became a level 1 certified sake specialist through the Sake Education Council, which offers certification programs globally. The intensive syllabus and exam he completed focused on the making and usages of sake, as well as interpretations of Japanese symbols used on the bottles of certain imported sake. 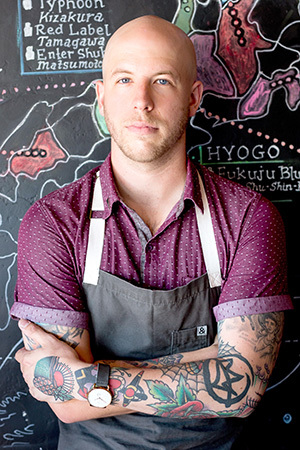 “Sake is such a diverse beverage and it takes a lot of study to understand it,” said Henson, who is also the sous chef at Saiko Sake & Sushi Bar in North Park, where he sometimes cooks with the Japanese rice wine. Henson took the course in Las Vegas, and the level 2 program for becoming an advanced sake specialist will be offered in 2020 in Japan. “I’ve already reserved my spot for it,”Henson added. 116 Orange Ave., 619-435-0868, saikosushisd.com. 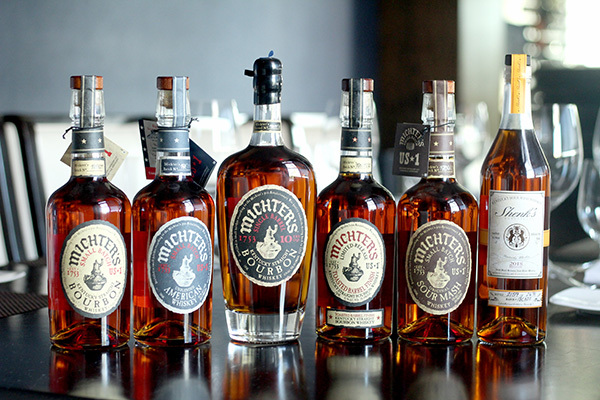 Touted as “great American whiskeys,” various spirits from the Kentucky-based Michter’s Distillery will be paired to a multi-course dinner at Stake Chophouse & Bar in Coronado on Dec. 13. Michter’s dates back to the mid-1700s and has become known for its barrel-finished bourbons, small-batch whiskeys and sour mash, all of which will be poured alongside courses that include dry-aged beef roast and mushroom panisse. The event starts at 6:30 p.m. and costs $150per person. 1309 Orange Ave., 619-522-0077, stakechophouse.com. 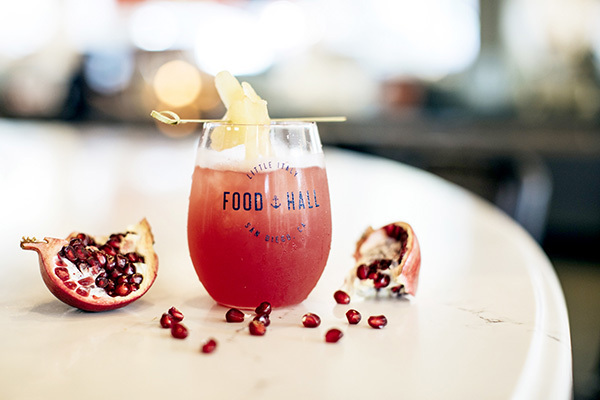 As the Little Italy Food Hall heads into its first winter since opening in July, it has made the first seasonal changes to its cocktail program. The new roll outs include spiced pearlimoncello with clove and star anise; a “crema di zucca” featuring a comforting blend of pumpkin pie liqueur, Jameson Irish Whiskey and Modern Times cold brew coffee; and the “Signora pomengranate” made with Spring 44 Honey Vodka. 550W. Date St., 619-269-7187, littleitalyfoodhall.com. Bar Moxy, located in the arcade-like lobby of the new, playful Moxy San Diego hotel by Marriott International, recently opened to the tune of signature cocktails, craft beers, and coffee drinks by San Diego Coffee Co. It also offers an all-day bar menu that includes everything from flatbreads and banh mi sandwiches to tacos and loaded fries. Styled with a millennial crowd in mind, the 126-room hotel boasts an industrial aesthetic while paying homage to our region’s storied naval past. The bar is open from 8a.m. to 2 a.m. daily to both the public and hotel guests, and it also features live DJs later in the day. Happy hour specials will be introduced in about a month. 831 Sixth Ave., 619-239-6699, moxyhotels.com.